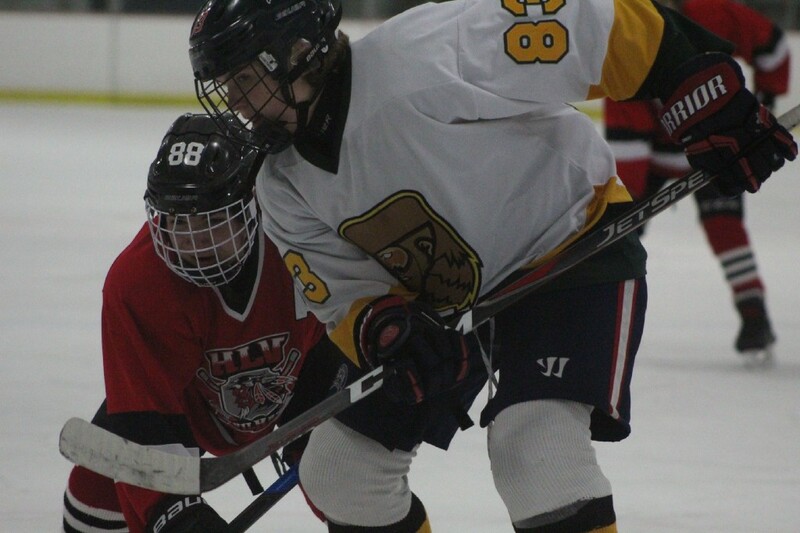 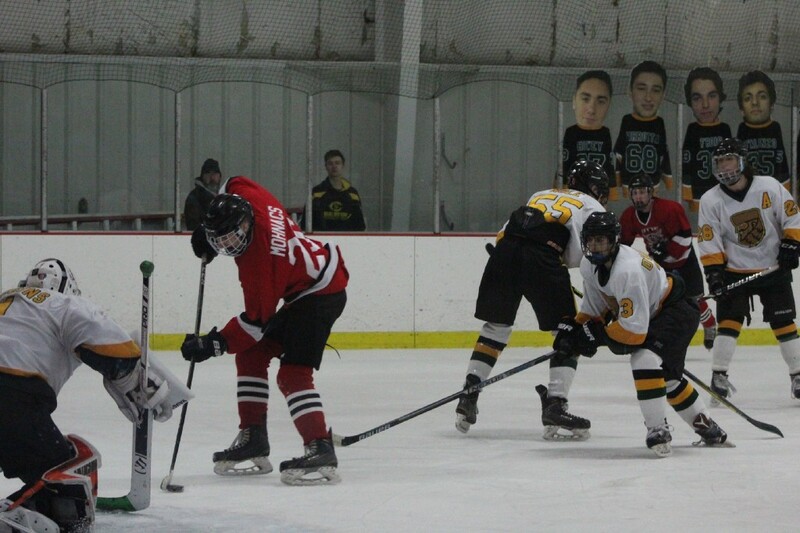 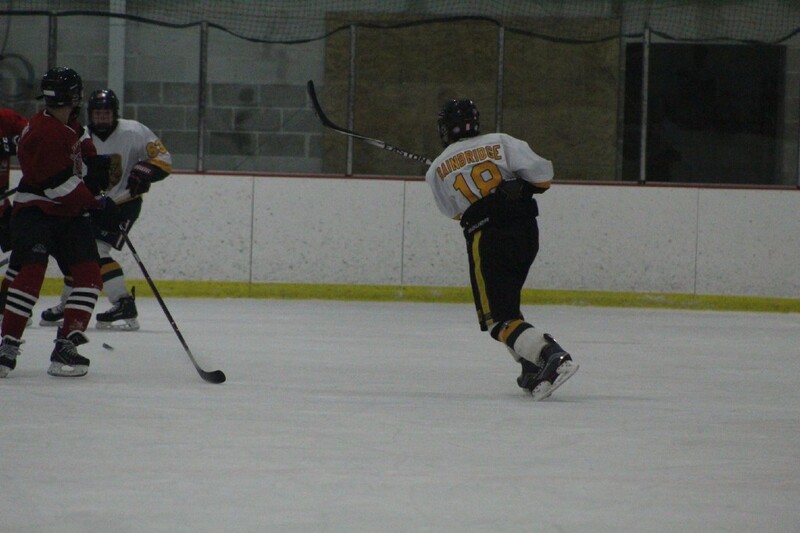 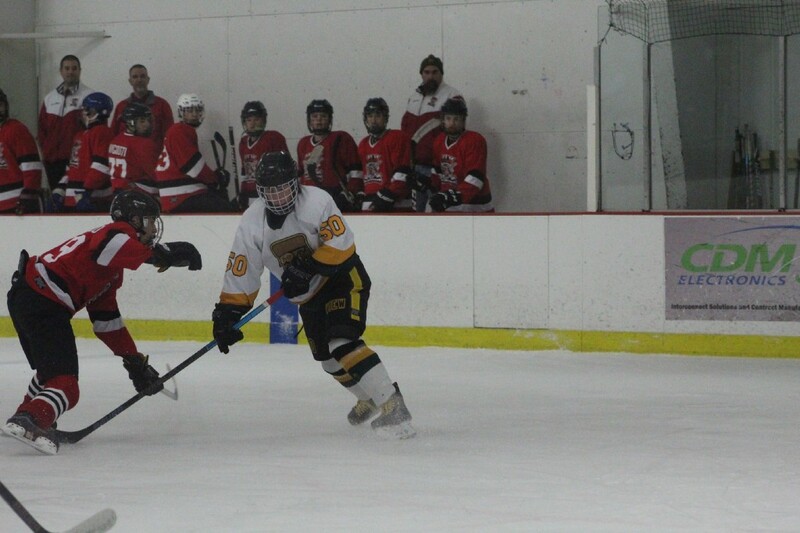 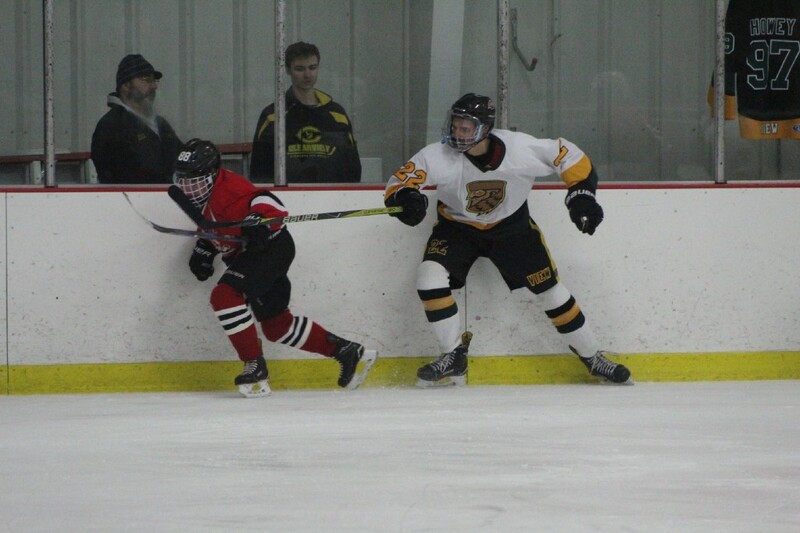 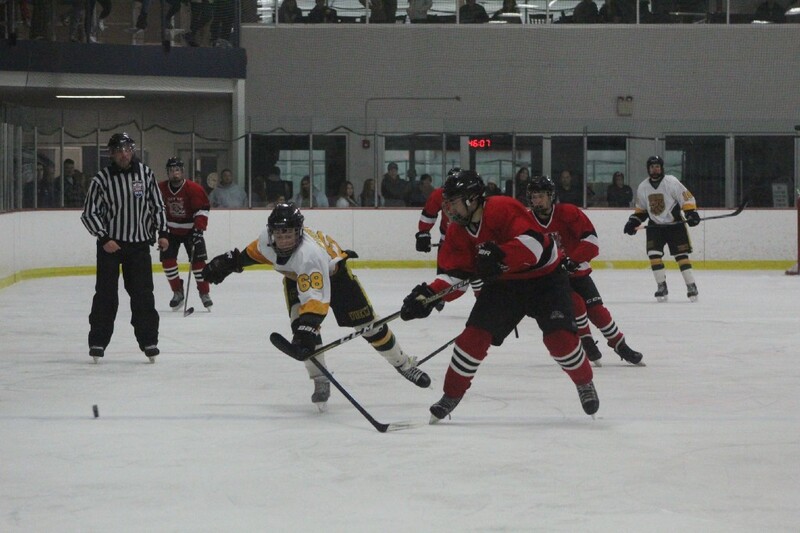 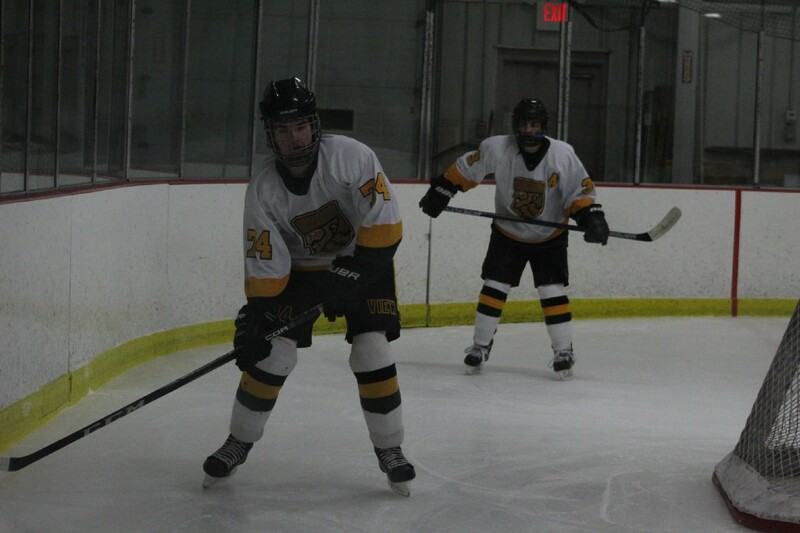 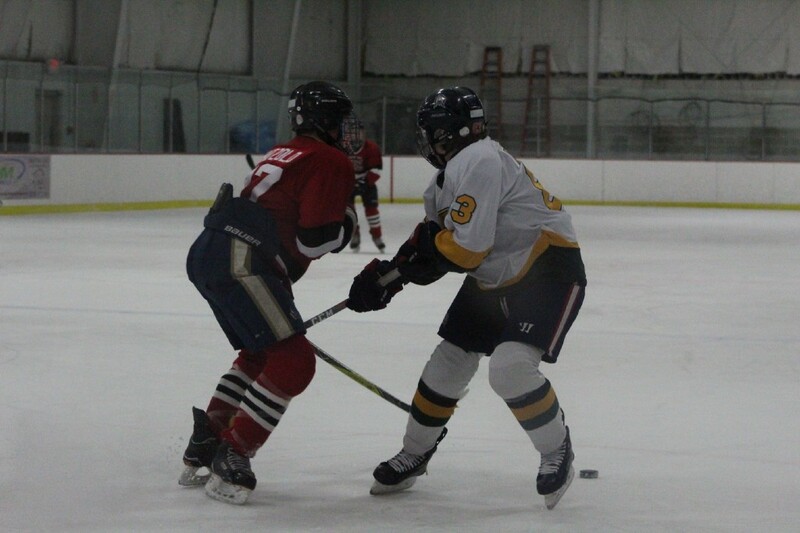 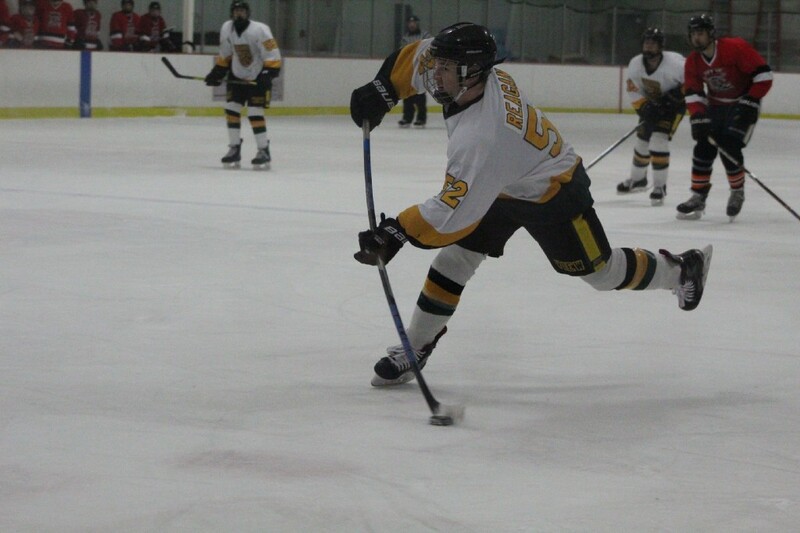 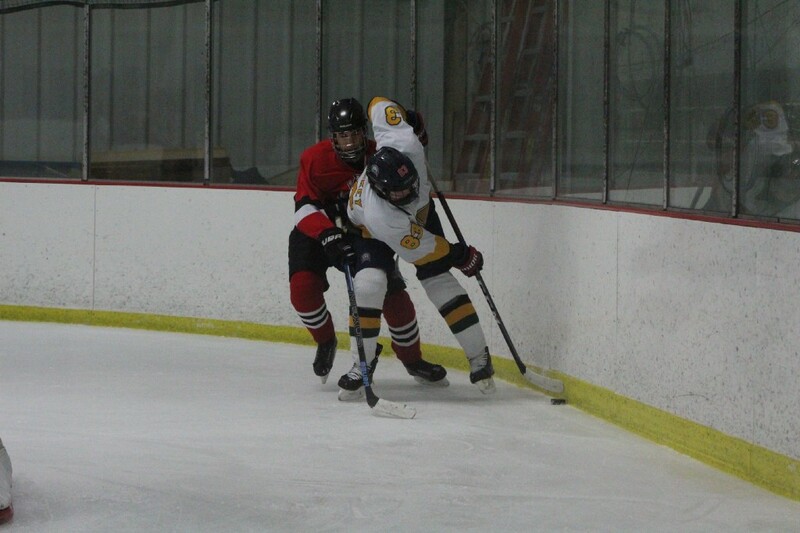 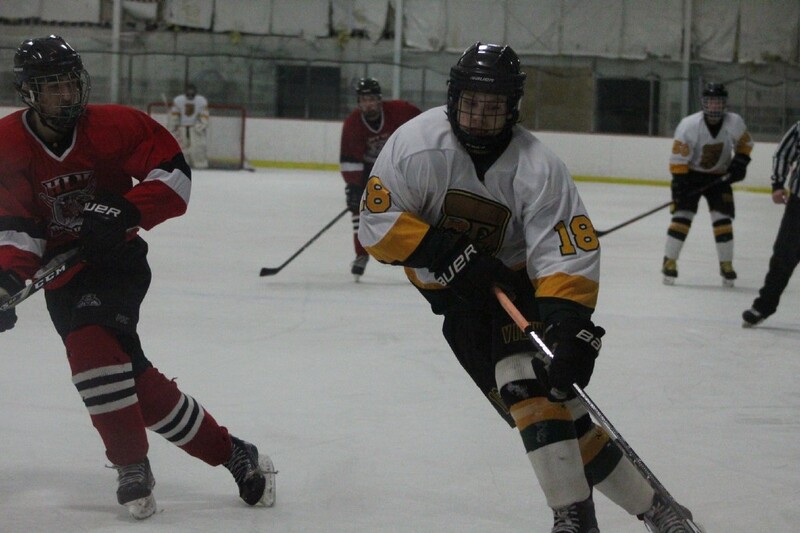 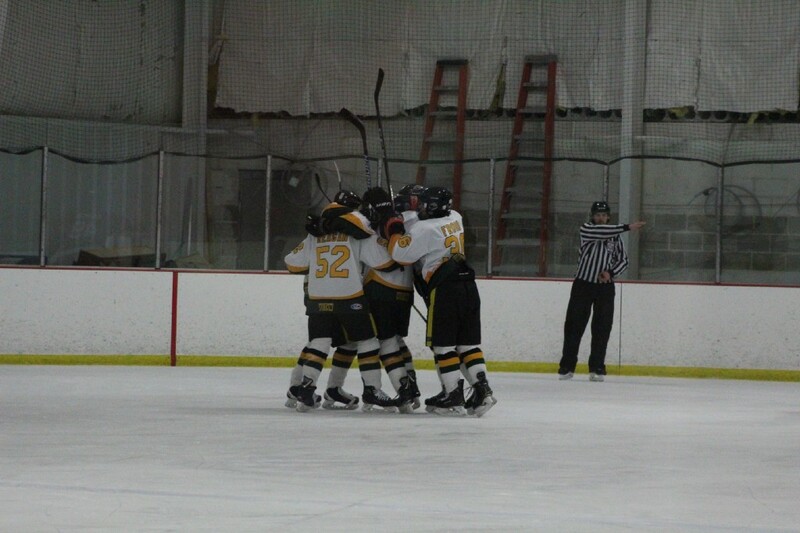 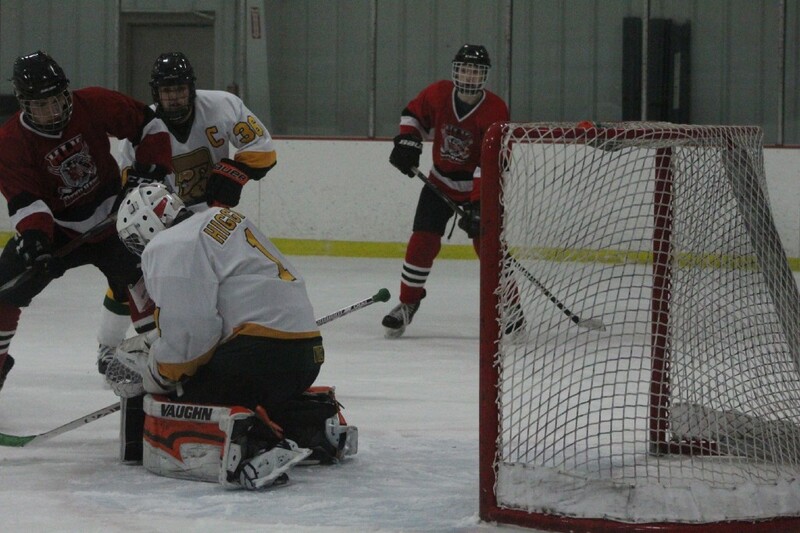 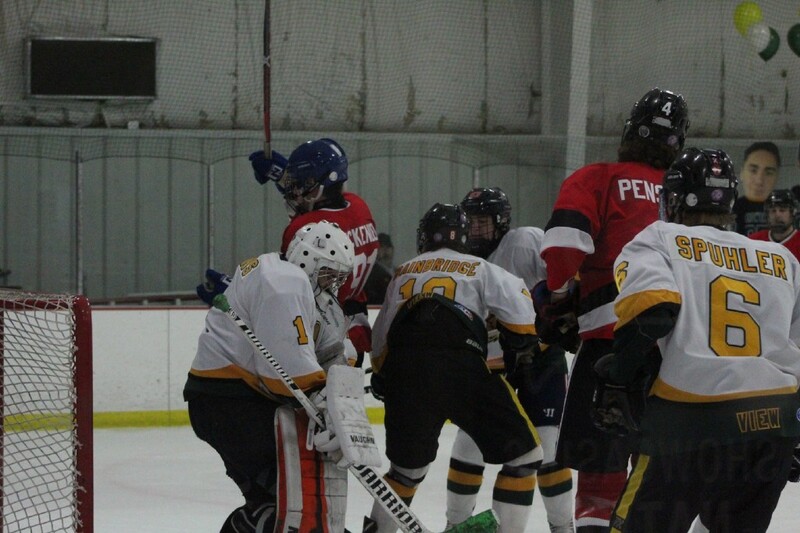 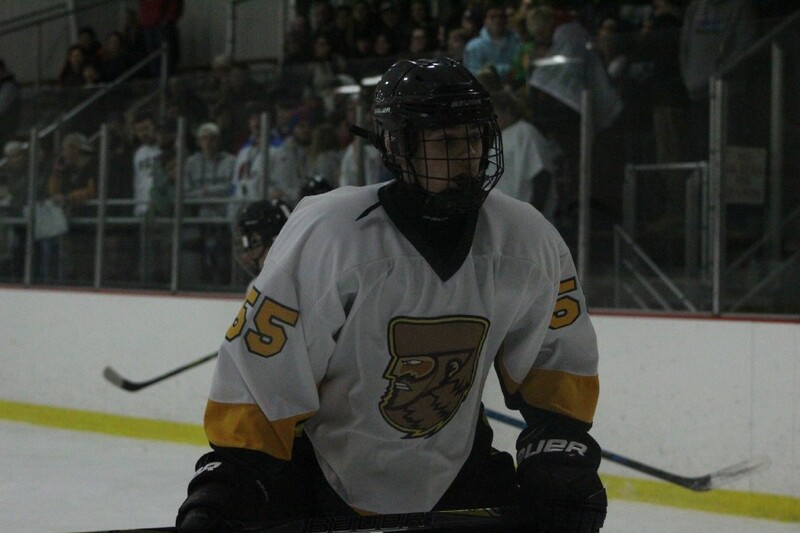 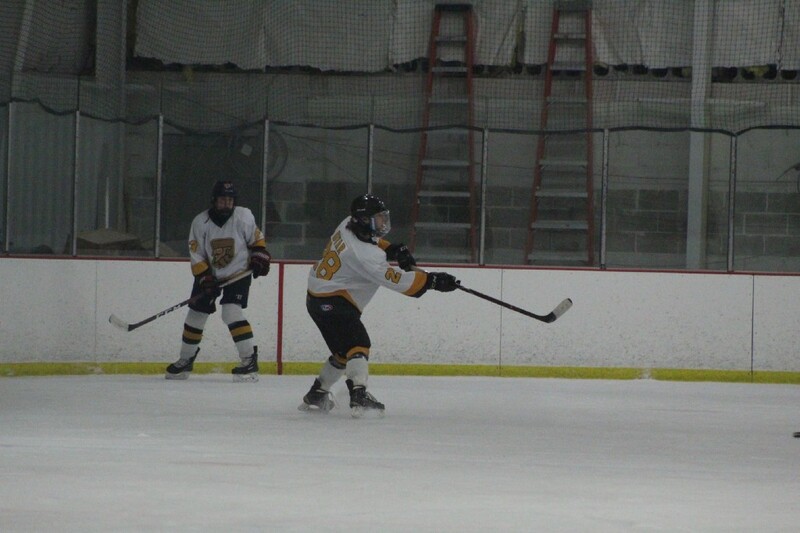 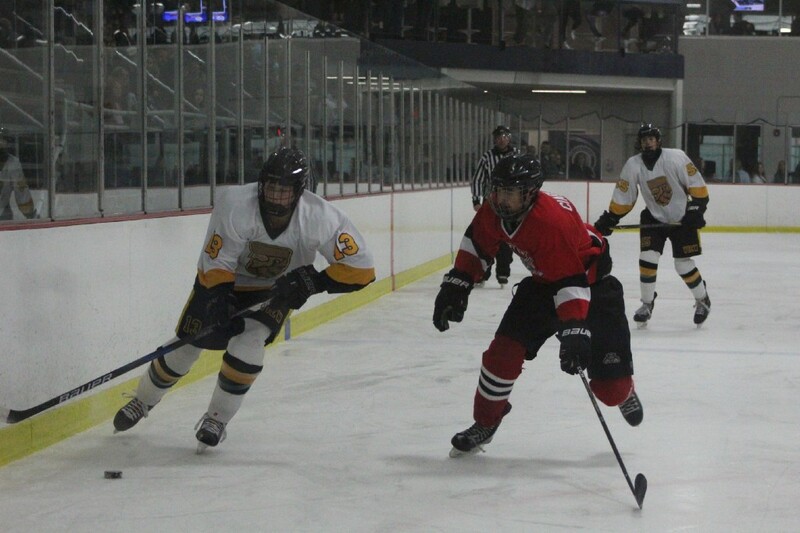 Clearview’s varsity ice hockey team ended their Senior Night game against the Holy Lenape Valley Devil Hawks in a 3–3 tie on Jan. 18 at HollyDell Ice Arena. 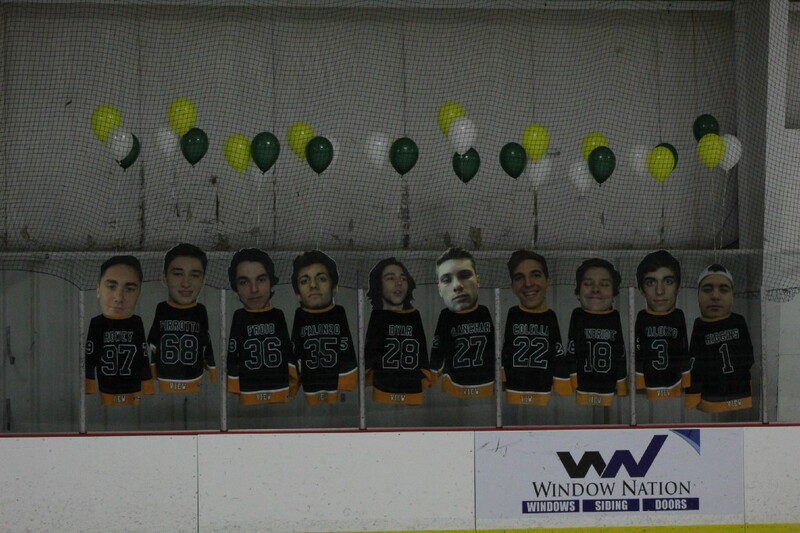 Prior to the game, the coaches introduced the 10 seniors to spectators as they collected flowers from their families. 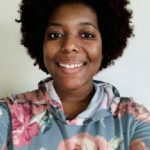 (Krystal Nurse/The Sun).